Lais is extremely knowledgeable about everything in Rio, and she loves sharing Brazilian culture and history with her clients. Lais is a thoughtful and delightful person to spend the day with; having lived and traveled in the US, her her communication in English is superb. Lais was great! She took all our wishes into account to plan our day. Her car is clean, she drives well. Very friendly, funny, sociable. She's knowledgeable regarding the city, the country, history, socially, politically and as a biologist she knows a lot about the plants and animals, and gave great tips for restaurants and more things to do. We enjoyed our day with her tremendously, and booked her for a 2nd day. TOUR GUIDE RESPONSE: And 1 more time :-) Your reviews make a huge difference for me. Lais was able to incorporate our broad interests and tailor a special day out exactly to our liking, full of things we didn't even know were available to see and do in the city. We could not have had a better guide than Lais for the Botanical Garden! Her passion and knowledge of the garden made the tour an absolutely wonderful experience. Lais also introduced us to an excellent local restaurant for lunch. We had a blast with her at the Mar Museum learning about Samba and ended the tour with a most tasty açaí smoothy in Ipanema. Lais was extremely friendly and knowledgeable about both the city and natural environment. She incorporated everything we had wanted to see, and even helped us with ideas for our following day without her. Lais was wonderful! Her knowledge, personality and love of Rio added so much to our visit to this beautiful city. Don't hesitate to make her part of your Rio visit! Lais is a super star! We had one day tour with her and I wish I had booked her for our whole stay. If you are considering getting a tour guide I would highly highly recommend Lais. She is incredibly knowledgeable, her English is impeccable and she is a delight!!!! If and when we go back I will definitely book her for our entire trip. Lais was extremely friendly and knowledgeable. She was quite accommodating and explained options so we could get the most of our tour. Fluent in English, she gave us a great experience in Rio with a behind the scenes look at preparing for Carnaval. I would highly recommend her to anyone considering a private tour. I had an extra day in Rio after my tour ended and decided to take Lais' day tour of Petropolis. It was a wonderful alternative to Rio's bustle. It's amazing how quickly the City gives way to spectacular mountain scenery and historic colonial architecture. Lais is well informed on a wide range of topics and clearly explained the role Petropolis and Brazilian royalty played in the nation's fascinating history. I came away with better understanding of Brazil and a desire to see more of the country. Eight of us took a 2 day tour with Lais and had a fabulous time. Lais is informative, passionate and very helpful. We highly recommend her. TOUR GUIDE RESPONSE: Hi Florence, Such a fun group! It was a pleasure meeting you all in Rio! Thank you so much for the review. Best regards, Lais. Visit the Rio Botanic w/ Lais for a mini trip to the Amazon. Plants, Birds, Monkeys are all here and Lais is a biologist that can help you appreciate this biologically diverse garden. She is an excellent guide, funny, enthusiastic, and very effective in helping first-time visitors understand what they are seeing. Those interested in gardens could not ask for a better guide. At her suggestion, she dropped us at the Museum of Tomorrow to finish off a spectacular day in Rio. Lais. Is a very upbeat, in trepidation guide. Despite the fact that our plane arrived three hours late and we had to embark for our cruise , she met us at the airport and did her best to fit in all of the highlights on our way to the port. She also contacted tours by locals to suggest we receive a partial refund which was incredibly thoughtful. TOUR GUIDE RESPONSE: Thank you, Leila. It was a pleasure meeting your family in Rio! Lais was wonderful. We had her show us around Rio for a full day and a half. She was full of history, and other information. She even changed our schedule to make it more feasible based on cruise lines coming in and to avoid the rush. Lastly, she gave us some great recommendations for meals I can't say enough good things about her. Lais is an exceptional tour guide. Perhaps the best we have ever had! She is extremely personable and accommodating. We greatly appreciated her knowledge of Rio as we wove I our way through the city to the various sites. At the end of the tour, we were left with an experience worthy of a good friend showing us around. I cannot day enough positive things about her and would recommend her to others! TOUR GUIDE RESPONSE: Hi Mike, Lor and Barbara, What a pleasure to have met such wonderful people!! Thank you for sharing your day and your stories with me also :-) Thank you so much for the recommendation. Merry Christmas and Happy New Year!! Lais is a wonderful guide. She was very organized and dealt with traffic, parking and all logistics to make our experience extremely smooth. She had a great knowledge of the City and Countries history. Her english was very good. Lais is also quite well traveled with makes visiting with her on a wide variety of topics very interesting. TOUR GUIDE RESPONSE: Hi Carl, HAPPY NEW YEAR!! Thank you so much for your feedback. It was a pleasure meeting you in Rio! All the best, Lais. Lais was phenomenal. One of the best tour guides we have ever had. Perfect. I just wish we had more time. Lais is personable, knowledgable, passionate about her city, and eager to share. She kept us informed without overwhelming us with trivia. We started later than planned due to chaotic conditions as we got off our cruise ship; one of our 8-person group was about 45 minutes further back in the long line to get off. Lais adapted well, managed our timing, and made sure we saw the key sites that we had signed up for. I could not ask for a better guide. We had an amazing day with Lais and can recommend her to anybody who wants to discover Rio de Janeiro. Lais is very knowledgeable when it comes to history, culture and politics - for Brazil, South America but even other continents. It was a pleasure to listen to her explanations and discuss with her. 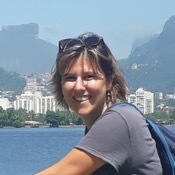 She knows the best ways around in Rio, pays attention to savers, shows great photo opportunities and is flexible to adapt her tour (due to weather changes, interest focus). What a great day - thank you! Lais was absolutely incredible, one of the best tours we've done in a long time. One of us was injured from a slip a few days earlier, and she adjusted the tour perfectly. Exceptionally well informed, and really knew what to highlight for our interests. Would do it again, because I know I would learn so much more! A visit to Rio must include a trip to Petropolis. I'm so glad we took this tour, and having Lais as a guide was the greatest experience. She really knows her history and helped us to understand the complex and rich heritage of Rio and Brazil. Lais is also extremely fun to be with and we enjoyed lively conversations about politics, feminism, history, India, kings, etc. TOUR GUIDE RESPONSE: Thanks again! And special thanks to all your teachings about India :-) one more place to visit in the world! What a great tour! Lais is a wonderful guide. She went out of her way to get some dancers at the Rio Scenarium nightclub to show us how to samba. Lovely experience! It was great fun hanging out with Lais and experiencing the best of Rio nightlife with her. Don't miss this tour. TOUR GUIDE RESPONSE: Hi Neil, Thank you a lot for the review! It was a pleasure discussing politics with you. Keep in touch! Lais is a fantastic tour guide. Our family of 6, ranging in age from 47 to 82, all enjoyed the three tours. She took care of every detail in each tour and provided us with an unbelievable amount of information about Brazil. Also the driver she chose for our van was great. Everyone in our group would highly recommend Lais as a tour guide!! My family really enjoyed our time with Lais during the city tour. We were very comfortable in the transportation and the day was well planned. We aren't really "foodies," but we loved the restaurant she took us to for lunch. I tried new foods that I probably never would on my own. Too bad I won't be able to find Heart of Palm in the states. The day was gorgeous, which added to a great tour. TOUR GUIDE RESPONSE: Hi Anita, Hope you arrived safe back home. Thank you for the review!! Great experience. Lais was extremely responsive (we booked the tour the evening before & she was promptly at our hotel at 9 am), knowledgeable, friendly, and accommodating. Her car was reliable and roomy for 4 of us, and it made it very easy to see the sights. Her extensive travels, scientific background, and teaching experience all contributed to creating an enjoyable and educational experience. Her English is flawless and her personality sparkling. Would definitely recommend her to anyone. TOUR GUIDE RESPONSE: Thank you so much, Bojana! It was a pleasure meeting you, Amy and Elisa in Rio! A tour of the botanical garden with Lais added so much to our understanding of Rio and Brazil. She even helped us to locate monkeys, tamarinds and toucans among the beautiful plants and trees. Our girls (12 and 8) also enjoyed seeing (and smelling) the species that provide the cooking spices of cinnamon and cloves. We highly recommend Lais! TOUR GUIDE RESPONSE: Thanks again, Elizabeth! The job gets even more fun when we have such interested and smart little girls around :-)Hope you enjoyed the rest of your stay with us in Brazil. Lais provided our family a lovely day. She did a great job catering to the interests of everyone--history, plants and animals, religion, geography...everything! She even brought us to a wonderful, historic restaurant that provided for our vegetarian needs. Her enthusiasm and kind attention to our hundreds of questions was much appreciated by everyone, including our two girls (12 and 8). We highly recommend Lais! The host you need in Rio. TOUR GUIDE RESPONSE: Thank you, again!! An absolute delight! We covered so much in a short period of time and Lais was so helpful, positive and accommodating. TOUR GUIDE RESPONSE: Hi Wendy, Thank you so much! I hope you returned safe back home. It was a pleasure meeting you in Rio! Terrific. Private tour is the way to go. So easy to ask specific questions and I believe honest answers. I was so impressed with Lais' driving skills. And PARKING. She was brilliant. Her love for her country was apparent in her explanations. Truly an excellent and knowledgeable guide. Well worth it. TOUR GUIDE RESPONSE: Hi Sheila, What an enjoyable day! Thank you so much for the review. It was a pleasure meeting you in Rio! Lais was a brilliant guide for our first day in Rio. We asked for a trip with a more local flavour, and she took us to places that gave us great insight into the Carioca way of life, from carnival, to football, Parque Lage, local markets, we saw and learned a lot on day 1, which gave us a grounding for the rest of our time here. She also provided us with contact details for another excellent local guide, Bruno, who took us hiking and found us bikes to ride up to Christ the Redeemer. Thank you Lais! Our second consecutive day with Lais was even more delightful than the first. She is one of the most gifted, bright tour guides we have ever experienced. Her knowledge and consequent wealth of historical, local and So American tidbits were most fascinating. She tailored our two days to accommodate our schedule,..most appreciated!! If she is available to you, book her immediately! Lais was most accommodating to be available on Easter Sunday! What a treat to have such a bright, informative guide who loves her city. Highly recommend! TOUR GUIDE RESPONSE: Hi Sarah, Thank you so much! I really enjoyed our conversations and cultural exchanges :-) It was a pleasure meeting you in Rio! Lais knows her stuff, and has a love for nature and plant life! Lais provided a great tour. Her English is great and we had a fabulous time! TOUR GUIDE RESPONSE: Thank you so much, Brad and Donna! Hope you have an amazing time along your journey in Brazil! Best wishes, Lais. We have taken tours all over the world and had a few outstanding guides. But Lais absolutely stands out as the BEST EVER! She was so knowledgeable and informative. She was also warm and engaging. She loves traveling as much as we do and it showed. She is young but a very experienced guide--serving as the president of the Rio area tourist guide association. You just won't find better than Lais! Also we highly recommend the Petropolis tour. It is the center of Brazilian history in many ways. Great guide and great tour day!!! Lais is a friendly, knowledgable guide who made our visit a very enjoyable experience. We will hope to see her again on any future visits. TOUR GUIDE RESPONSE: Thanks Becky and Roy! Hope to see you again in the near future. I had an amazing time with you! This was a fabulous tour and Lais, our guide, was super knowledgeable about her city. We were able to influence the day too, although the general plan was excellent. We spent our time very well and were able to see everything we wanted to, including a glimpse into the true local area and a great local lunch! Would absolutely recommend Lais for anyone planning on spending time in Rio. If we had been staying longer, we would certainly have booked an extra day to do some of the other tours on offer. TOUR GUIDE RESPONSE: Thank you so much, Ali! I had an excelente day too! It was a pleasure meeting you in Rio! Lais is the best guide we've ever had. She is happy, knowledgeable and fun! We didn't really have a plan -- left our day in her capable hands and we were not disappointed. The last morning of Carnivale, we were able to walk with parade revelers as she knew everything that was happening in Rio. A call to Uber and we were off to Sugarloaf, enjoying a local refreshment and seeing the sights. She then suggested we go to see Christ The Redeemer before the clouds moved in, and she was absolutely correct. TOUR GUIDE RESPONSE: Hi Jacqueline, Thank you so much! It was a pleasure sharing with you this amazing party we have - Carnaval! Great meeting you two! TOUR GUIDE RESPONSE: Thank you so much, Alison! It was a pleasure meeting you in Rio! Couldn't recommend enough! Had a wonderful evening. Very knowledgable, kind and prompt / timely. Great great Tour! Lais really knows the Rio Botanical garden very well as she studied biology and botanic and as a native of Rio, she grew up coming often to that garden and we could feel her attachment to the place. This made the experience really unique. She has an eye for everything, we would have missed the Toucans in the trees without her ! She took the time to explain everything and answer all questions. We were a family of 5 with kids aged 15, 20 and 22 and everyone loved it. Thanks Lais ! We failed to provide Lais with our preferences and interests ahead as we had visited Rio before. Upon joining her on the first of two days with her we run through interests combining with her suggestions. Lift the curb to an immediately well orchestrated and seamless two days. Lais is well educated, know in detail the city, history, sights. Her English is ver fluent, polished by living in the US and Australian for well over a year. If you want a guide who create a custom tour, Lais is the one. TOUR GUIDE RESPONSE: Thanks, Jim! It was a pleasure meeting you in Rio! We were extremely pleased with our guide Lais Tammela S., who took us around Rio de Janeiro on November 1. She was very knowledgeable ,flexible, pleasant ,efficient and gave us a great tour. I highly recommend her. Fantastic!! Lais was great and we really enjoyed her knowledge of Brazil and Rio history. 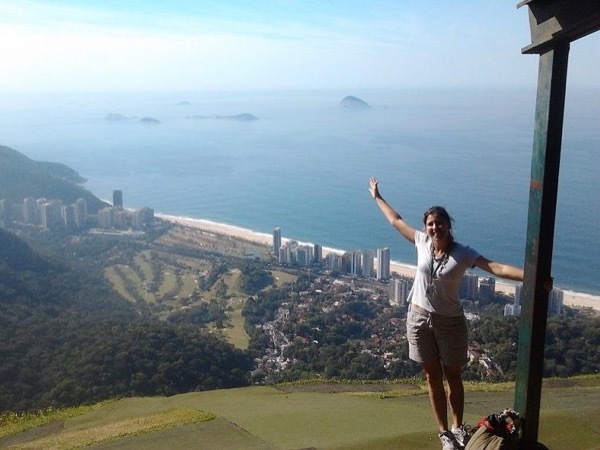 We highly recommend Lais and this city tour including Christ the Redeemer and Sugarloaf. Lais was a considerate and interesting guide. TOUR GUIDE RESPONSE: Hi Linda and Ken, It was a pleasure meeting you in Rio! Hope you have enjoyed the rest of your week. All the best, Lais. A great guide who loves her job! Lais's outgoing personality brought Rio to life for us! Fun, knowledgeable, professional, and fluent in English, she showed us parts of Rio that only a local would know. She gauged our needs and catered to them perfectly. Well prepared, yet flexible she showed us Rio by car, bicycle, public transport and on foot. Highly recommended, we had the best week ever! We hired a tour guide, and left having made a friend. TOUR GUIDE RESPONSE: No words to express what a delight it was to have met you! Now I have new friends in Rhodesia, South Africa and Australia :-) :-) :-) Thank you so much for the review! Since I already have been in Rio before, Lais managed to show other very interesting parts of Rio (and outside) based on my interests. It was a great experience. Most interesting both from historical and architectural point of view. Lais is very well informed and is adjusting the tour to your interests. TOUR GUIDE RESPONSE: Hi Rob, It was very nice to see you again in Rio! Thank you so much for the review! My best wishes, Lais. You cannot go wrong with ANY of the tours which Lais has arranged! TOUR GUIDE RESPONSE: Hi Buck and Sylvia, Thank you so much for the review! It was a pleasure meeting you in Rio! All the best, Lais. The 2 half day tours that we scheduled with Lais were EXACTLY what we had hoped for , and truly brought to life the glory of RIO . My 12 y/o son and I spent a fun and informative day with Lais last week in Rio. We only had two days in the City and Lais was able to fashion an itinerary that hit all the "must see" spots on our list -- Christo, Sugarloaf (wow! ), the Maracana, Olympic Boulevard, Sante Teresa and more. Lais' knowledge of Brazil's history was encyclopedic, her laugh and sense of humor was infectious and her love of the city obvious. If you want a true insider's view of Rio, tour with Lais: gentileza gera gentileza. TOUR GUIDE RESPONSE: �� Gentileza gera gentileza �� Thank you so much! I was very fortunate to have met you guys. Rio de Janeiro would have not been the same without Lais! We spent 2 days with her and we got the full Rio or "Carioca" experience. Lais is so sweet, so caring and so much fun, she took really good care of us. We covered everything in 2 days and she was so considerate to what we wanted to do, and managed to fit everything in our plan, even though Rio is huge! We had such an amazing time and we will never forget it! Thank you Lais for everything! TOUR GUIDE RESPONSE: Hello ladies! Thank you so much for your feedback. I had a great time with you too and loved to learn about tour country also. :-) All the best, Laís. TOUR GUIDE RESPONSE: Thank you so much! It was a pleasure Meeting you in Rio! If you are planning to visit Rio, don't think twice! Just book Lais' guide services. She is great! Knows a lot about Rio (history, culture, touristic but also local-flavored, spots, food, local markets, night life,..). In 3 days, she litterally showed me the whole city, including last minute flexible arrangements such as private helicopter tour and capoeira class in a favela! She is a real Carioca and she feels Rio! So much more I could say...��. Great experience! Thanks Lais! TOUR GUIDE RESPONSE: Hi Sebastien, Thank you a lot for your review. Thank you for challenging me with your interests :-) It was a pleasure to meet you in Rio! Best regards, Lais. I used Laïs services twice during my stay in Rio. Great time at both occasions. I wanted to visit the Botanical Garden with an expert, she is. She is very knowledgeable about the park, ready to be challenged, resourceful to get your wishes met and won't miss an opportunity to surprise you to make your stay an incredible journey. She has been a wonderful smiling open-minded carioca guide for my visit. A true experience with a carioca as I wanted. Laïs is a person to meet, she'll put a smile on your face. TOUR GUIDE RESPONSE: Thank you a lot for the amazing reviews! It was really nice meeting you in Rio! Laïs is the first carioca I met. I asked her to find places where I could enjoy jazz locally. She has been a wonderful partner for my first evening in Rio. We went to 2 clubs & took the time to enjoy local food. What can we do best when we enjoy music, food & drinks with a carioca in Rio? I know: add Laïs then everything will be perfect. In addition, I went to areas I was not planning to visit and she gave me the historic details of each one. She likes to be challenged, she was, she over-achieved. TOUR GUIDE RESPONSE: Hi Emmanuel! Thank you for the challenge, for allowing me to discover new charming and great places with jazz in Rio but, most of all, thank you for the great company! Lais has an amazing knowledge of Rio, its history, culture and environment! Best tour ever! TOUR GUIDE RESPONSE: Thanks, Jeffrey!! It was a pleasure meeting you in Rio! Absolutely excellent. We were in Rio on a cruise in early March and toured with Lais for 2 days along with 3 other couples. Not only is she extremely knowledgeable about all aspects of the city but also she is very helpful and has a great personailty and sense of humour. Without doubt she made our time in Rio a very special and memorable one and we would not hesitate to recommend her or indeed to use her services again if the opportunity arises. TOUR GUIDE RESPONSE: Thank you, Elizabeth! It was my pleasure to meet you all in Rio! Best guide to book. Very knowledgeable of her country. She was prompt and very sweet young lady. My husband and I enjoyed being with her for our tour of beautiful Rio. She introduced us to her local favorites to eat as well as taking us to all the highlights. She made our trip to Rio well worth it and would say if your going to Rio and you want the best book a tour with Lias. Not only is she personable, we enjoyed learning about her as well. Super happy my husband found Lais, she made Rio. TOUR GUIDE RESPONSE: Thank you so much, Doug and Audra! It was a pleasure meeting you in Rio also! All the best, Lais. Lais was amazing! She was knowledgeable, interesting and a lot of fun. She customized our 3 day tour to include not only the usual sites but easily added Jewish heritage areas, the Hippy craft market and much more. Despite three people with food allergies & four of us vegetarians, meals were easy and delicious. We highly recommend Lais as the best guide we have ever had. TOUR GUIDE RESPONSE: Thanks, everybody! I had a lot of fun with this party in Rio also :-) You are the best! We had Lais for a day and a half in which she showed us her city. We did not have a set itinerary , we just told her our interests and she took us on a great bdiscovery tour. She knows the highlights, the traffic, the shortcuts, the conditions and everything went smoothly. Her English is excellent and colloquial as she has lived for a time in Australia and the USA. Best of all is her great personality, sense of humor and caring approach. We could not recommend her more highly. Absolutely excellent. See my longer review for her all da tour. TOUR GUIDE RESPONSE: Thanks again!! TOUR GUIDE RESPONSE: Thank you so much, Chris! It was a pleasure meeting you in Rio. Best wishes, Lais. Excellent tour guide. Extremely prompt in responding to emails and she showed us Rio in the best possible way. Her people skill is excellent and she communicates well. I would recommend her without any reservation. TOUR GUIDE RESPONSE: Thank you a lot, Sunita! It was a pleasure meeting your family in Rio! Merry Christmas and Happy New Year! Lais met me at a subway stop and we toured a weekly fruit market, tasting several local delicacies, before doing the full tour of downtown, plus Copacabana and Leblon beaches. She was very knowledgeable, inquisitive too about my own country (Canada) and very engaging. Thoroughly enjoyed my day! TOUR GUIDE RESPONSE: Hi Leonard, It was great meeting you in Rio! I had an amazing day also. Thank you for your review. Merry Christmas and Happy New Year to your family! Best, Lais. Lais is wonderful. She knows Rio and showed us a great 8 hr. tour. TOUR GUIDE RESPONSE: Thank you, so much! It was a pleasure meeting you all in Rio! Happy Hanukkah!! Calling this a "tour" doesn't really do it justice; it was more like a Rio "experience." Lais tailored the original itinerary to my particular interests. Her knowledge of Rio's incredible history was marvelous, and her ability to relate it as an interesting narrative as we walked around downtown was incredible. Very well done! I recommend Lais as a tour guide in strongest terms! TOUR GUIDE RESPONSE: Thank you very much, Robert! It was a pleasure spending time and exchanging experiences with you in Rio! Lais Lais Lais! Rio wooed us with it's stunning visual scenery but we fell in love with the City of God because of you! You brought Rio's story to life; its history, architecture, geography, people, politics, food, culture, favela's - all as we walked and soaked in your captivating and engaging narrative. Our troupe of 6 friends from Melbourne would say You Are The Best Guide Ever! TOUR GUIDE RESPONSE: Wow! Thank you so much for the feedback!! :-) :-) :-) As I told you, Australia brings me great memories and I had a fabulous time with you guys. Thanks so much! My best wishes to you all. My group was in Rio for the Paralympic Games in September 2016. We took Lais' Private Tour Highlights of Rio tour and we were able to get in a lot of viewing during our 9 hours. Lais is very knowledgeable about the city, the sites we saw, the places we drove by, and was able to answer the many many questions we asked of her. If you are looking for a guide in Rio, book Lais. You will be glad you did. Lais, thank you for the great tour. A great time was had by everyone in our group. TOUR GUIDE RESPONSE: Hi Jim. Thank you so much! I learned a great deal with you guys about basketball also. All the best, Lais. wonderful - especially for children. This tour was fantastic. Laisknows the city well and has a passion to share her knowledge and love of the city. Our tour of the botanical garden was outstanding . I went thinking it would be just another pretty garden and it was a highlight of our tour of Rio. Laid spotted mommies and told us all about the plants and trees etc. She took us to a terrific antique fair and then we had a great Brazillian lunch. I've had lots of tours by local tours and Lais is in the top 1% of guides. TOUR GUIDE RESPONSE: Thank you so much, Barry!! I had great fun and learned a lot with you guys also! Lais is a great tour guide. She provided an enjoyable and memorable tour of Rio de Janiero. We saw everything on my list and then some. She is very personable and knowledgeable. If you have little time and want to see a lot Lais the guide for you. She is also a very safe driver with a comfortable car. TOUR GUIDE RESPONSE: Thank you so much, Susan! It was a pleasure meeting you in Rio! Lais is a truly special tour guide, a consummate professional who ensures her clients have a great experience. She brings with her the insight of a native carioca, the training of a naturalist and a zeal for life that is infectious. Our group of 5 chose an 8-hour tailored tour which played to Lais' strengths. She is very perceptive, constantly reading situations and the people in the party, and constantly looked for ways to make the most of the tour. Great memories - obrigado! TOUR GUIDE RESPONSE: Thanks so much, Darius! I had an amazing time with your beautiful family! See you next time! :-) Best wishes, Lais. TOUR GUIDE RESPONSE: Hi Liz! Thank you so much for your review! It was a pleasure to meet you in Rio!! BTW, the building is a wheat mill, from 1887 :-) All the best, Lais. TOUR GUIDE RESPONSE: Hi Chuck! Thank you very much for your review! I had a lot of fun with this group! It was a pleasure meeting you in Rio! All the best, Lais. FABULOUS. what a smart lady!!! !we learned sooooo much, and had a great time!!!! TOUR GUIDE RESPONSE: Thanks again!! It was a pleasure meeting you in Rio! Best wishes, Lais. delightful tour guide. A great teacher. We learned so much from Lais. Her English is superb, she had a great sense of humor, and the ability to be very flexible througout the tour. Absolutely 5 star guide. TOUR GUIDE RESPONSE: Thank you, Gary and Ellen! I learned a lot with you too and had the best fun! We had a great 2 days with Lais. She is an excellent guide who gave us an enjoyable tour which covered Rio in all its aspects. We can recommend her in every way. TOUR GUIDE RESPONSE: Thank you, David and Sue! I learned a lot about NZ and had a great time with you too! TOUR GUIDE RESPONSE: Thank you, David and Sue! It was a pleasure meeting you in Rio! A very delightful and knowledgeable person. Took us to all the sights we wanted to see. I will recommend her and tours by locals to all my friends that are planning a trip to Rio. She made our trip a real highlight. TOUR GUIDE RESPONSE: Thank you a lot, Guy and Carol! It was a pleasure spending these days with you in Rio! !